﻿ About US--High end LED track light,LED downlight,led commercial lighting,LED Retail lighting professional manufacturer. 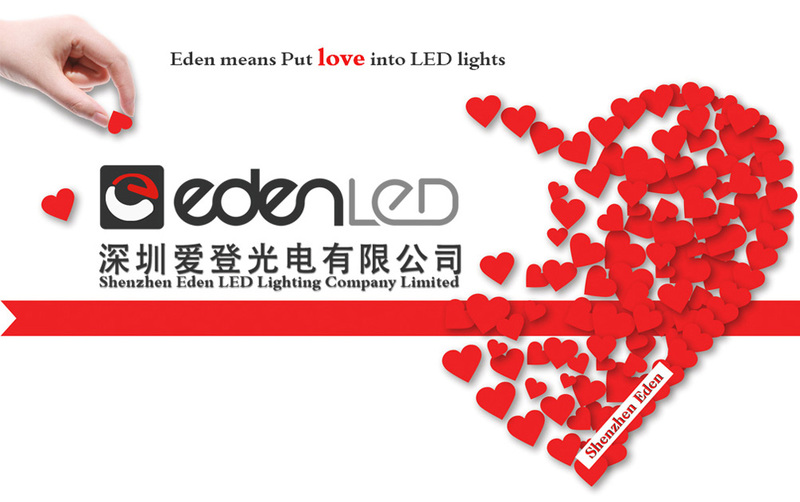 Shenzhen Eden focus on Track light and downlight R&D, manufacturer ,Shenzhen Eden Optoelectronics Co. Ltd is High-tech Enterprise which focused on design, R&D, production and sales of LED lighting products, the main products include indoor and outdoor commercial lightings. Based on the concept of independent innovation, constantly seeking a breakthrough, We have got more than 10 Patents. In addition, the product also can be custom-made according to customer's design. Welcome friends from all over the world to discuss our business cooperation. Sticking consistently to enterprise operating principle of “being market-oriented, guaranteeing high quality”, based on Mutual trust, Mutual respect, win-win as our business philosophy, and build a partner business relationship with talents not the employee relationship. We every people believe that “Good things happen to good people”. All of our products are compliant with CE, RoHS standards, and most of our products already have UL, CUL, Energy Star, they are sold to Europe, America and Brazil etc pretty well, also was highly valued by domestic market. We have won the support and trust from domestic and foreign customers. If you have any interested in our products or any projects which need our lights, please feel free to contact with us, we can support you with our professional team and we are sure would help you in your area.